Robin Clegg has disaster experience which spans several events including one of the largest in California history – the Cedar Fire (2003) where she assisted to coordinate the one-stop shop for long-term recovery efforts. As part of the San Diego County 2003 Wildfire Recovery, Robin served as Chair and convened funding efforts for uninsured and under insured disaster survivors through the Unmet Needs Committee process. She provided oversight of construction managers for the non-profit rebuilds to get residents back home. Then when a firestorm struck San Diego County in 2007 and the San Diego Regional Community Recovery Team needed a Chair, Robin stepped forward and along with the committee, provided fiscal sponsorship for five of the seven fire recovery centers, facilitated case management among social service agencies, and served as adviser for the seven fire recovery centers. Robin served as Chair of the unmet needs committee where in addition to convening funding efforts; she also coordinated collaborative building efforts with Mennonite Disaster Services. 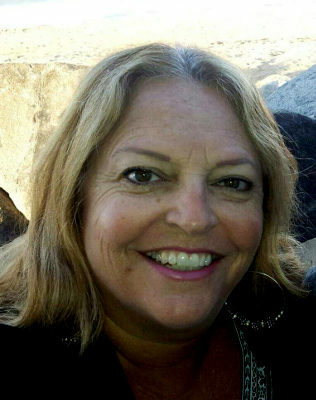 As the current Board Chair for the Community Recovery Team, Robin provides support and collaboration in San Diego County for long-term recovery guidance and has traveled to Texas, Connecticut and other parts of California to provide communities new to disaster with guidance and support. As President of the San Diego Voluntary Organizations Active in Disaster, she leads strategic planning, development and support for county-wide preparedness, response, and recovery. Robin has been awarded Woman of the Year by the California Senate (36th Senatorial District) and has received the Channel 10 NEWS Leadership Award. Her experience as a residential property-manager of their family-owned business keeps her busy when she is not looking after her grandchildren. Robin continues to support her community by serving as a Board Member for a homeowner’s association and 20 years of service on her community planning board. Robin’s thorough knowledge of construction comes through osmosis; having married into a construction family. She and her husband of 40 years reside in rural San Diego.